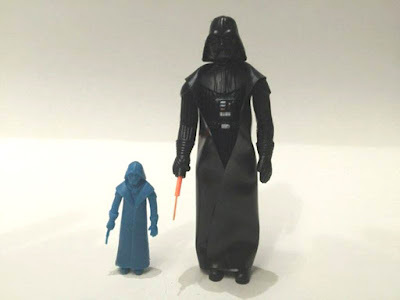 I asked regular SWCA guest blogger Yehuda Kleinman to tackle the Archive entry on the Yupi figures released in Colombia in the late 80s. Since he is one of the world's experts on the line, he was able to help update the entry on our main site for us, since a lot more information has come to light about the line since the entry was originally written. Personally, I've always found this line fascinating though, so I'm thrilled to see what he was able to put together. These figures are RARE! And as an extra treat for our blog readers, here are some additional pics of his Yupi collection he sent us but which weren't included in the article. Never heard of these. Fascinating, what on earth made them decide to go with that range of figures. Absolutely brilliant. Will be searching for the R5 now. Thankfully, no Yoda but these are great!